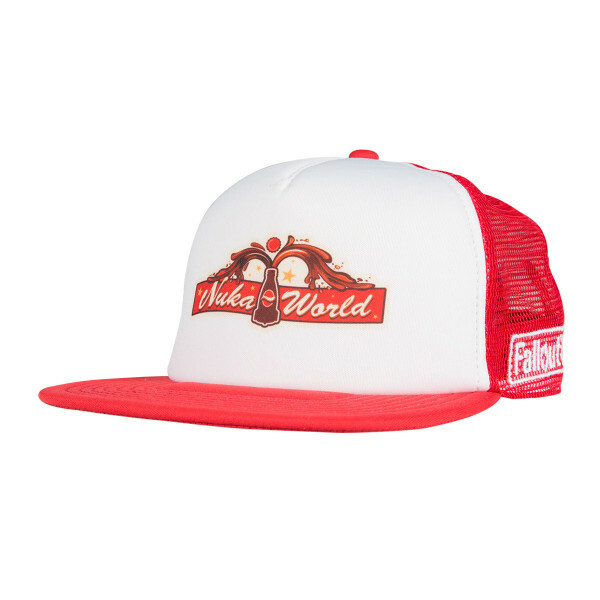 Red trucker cap with mesh, a "Nuka World" print on the front and a big, embroidered "Fallout 4" logo on the side. Adjustable in size. Manufactured by Gaya Entertainment.